Have you ever ordered a combination plate at a Mexican restaurant where the enchilada sauce is spilling over into the refried beans? That is one of my favorite parts of getting a combination platter. 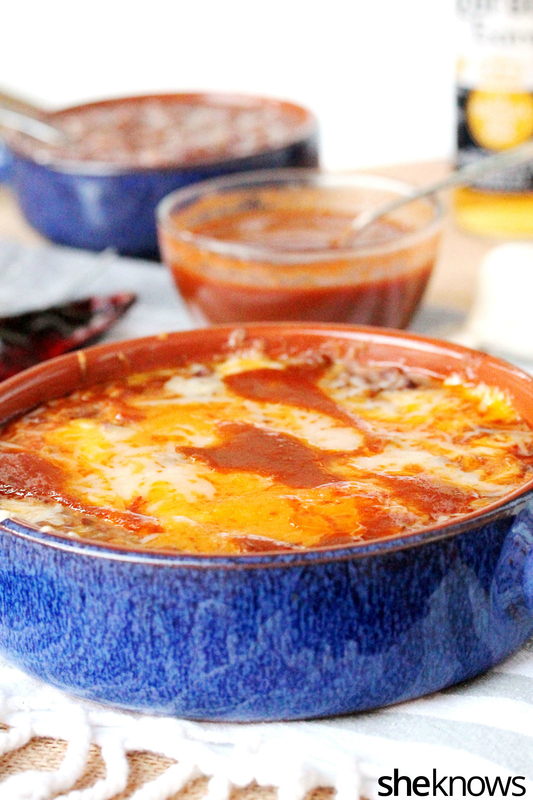 I love enchilada sauce no matter what it’s on, and making homemade refried beans is a good reason to eat more. Plus, it’s easier than you think. First, just boil some dried pinto beans, and add a few things to the pot. 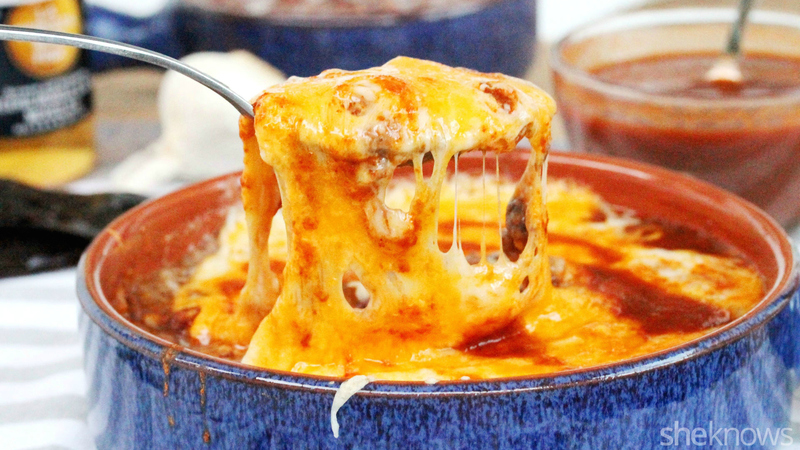 Then smash them, top them with enchilada sauce and cheese, pop them into the oven to melt the cheese, and you’re done. My mouth is watering just talking about. 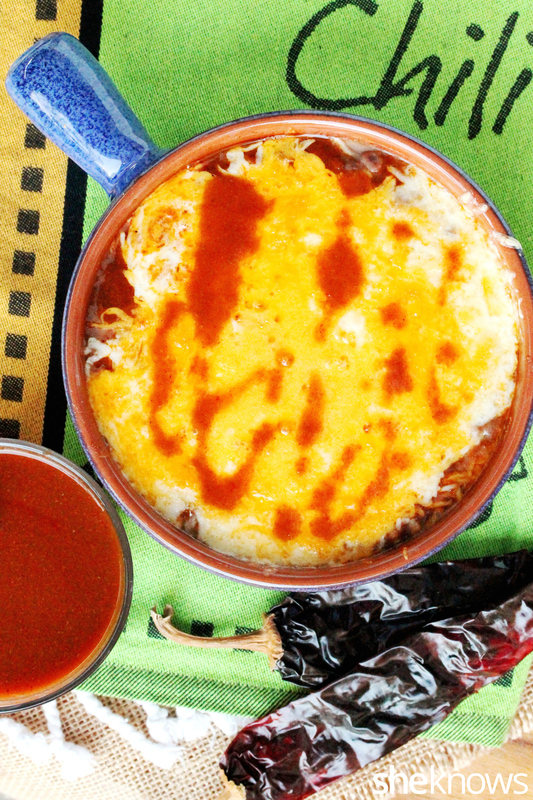 And the cheese along with the enchilada sauce is oh-so-very good. I like to use canned enchilada sauce to make it easier. 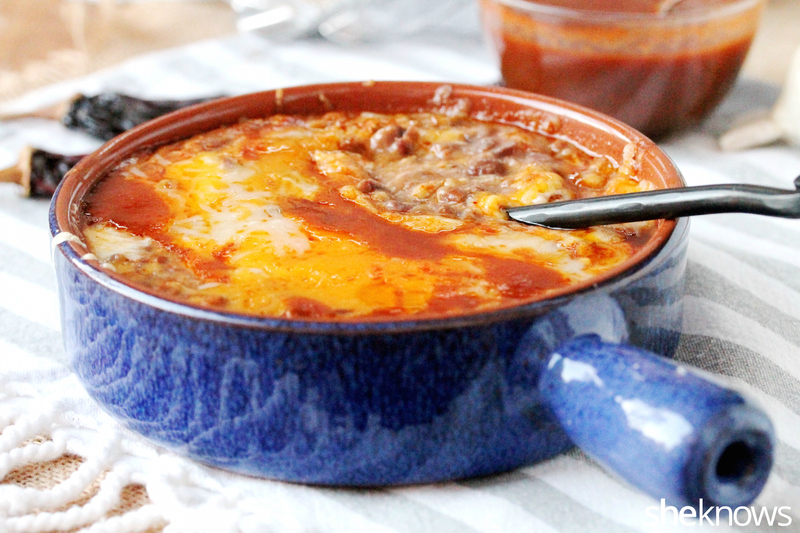 So give these homemade refried beans a try, and your taste buds will be very happy. 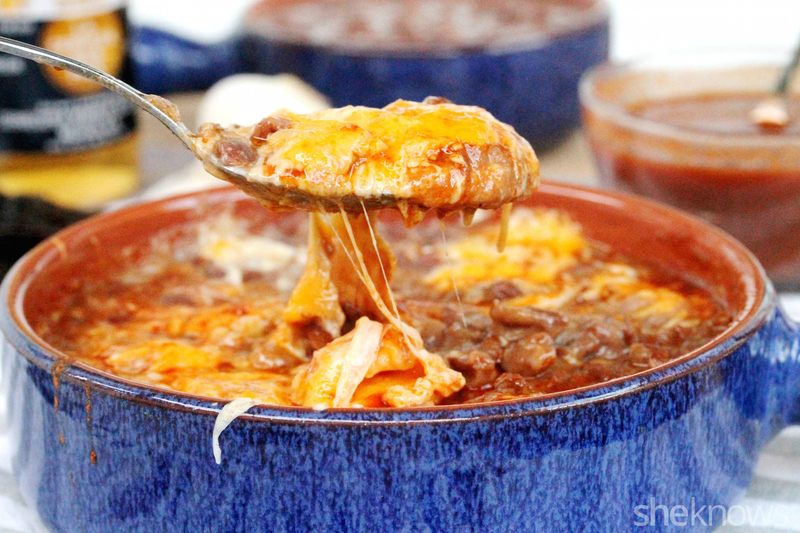 Homemade refried beans topped with enchilada sauce and lots of melted cheese makes for a delicious side dish that’s easy to make. Heat a large pot on medium heat, and add the water, beans, salt, pepper, garlic and serrano pepper. The ingredients should be covered with 3 to 4 inches of water. Add more water if needed. Once the water starts to boil, turn the heat to simmer, and stir occasionally. Let simmer for about 2 hours or until the beans are tender and the skin on the beans starts to break open. Heat a large skillet on medium heat, add the olive oil, and transfer the beans into the pan. Use a potato masher to smash the beans. Let cook until the beans thicken up to the desired consistency. Give the beans a taste test, and add more salt if desired. Transfer the beans to individual, ovenproof serving dishes or 1 large dish. Bake in the oven until the cheese melts, and serve while hot.